^ "IX Censo Nacional de Poblacion y Vivenda 2010" (PDF). Web.archive.org. p. 101. Archived from the original (PDF) on September 27, 2013. Retrieved 2015-07-23. ^ "2016 Census of Canada: Topic-based tabulations". 2.statcan.ca. 2011-04-02. Retrieved 2016-05-20. ^ "Los Extranjeros en Mexico" (PDF). Inegi.gob.mx. Archived from the original (PDF) on 2007-02-14. Retrieved 2015-07-23. ^ "Census data homepage". Censusdata.abs.gov.au. Retrieved 2015-07-23. ^ "Puerto Rico Virtual Jewish History Tour". Jewish Virtual Library. Retrieved 2015-07-23. ^ a b "Puerto Rico's History on race" (PDF). Archived from the original (PDF) on 2012-02-07. Retrieved 2018-11-28. ^ a b c d "2010.census.gov". Archived from the original on 2011-07-06. ^ "The World Factbook". Cia.gov. Retrieved 2015-07-23. ^ "MANUEL MORA MORALES: Canarios en Puerto Rico. CANARIAS EMIGRACIÓN". YouTube. 2008-01-20. Retrieved 2015-07-23. ^ "The Spanish Of The Canary Islands". Personal.psu.edu. Retrieved 2015-07-23. ^ Advance in the Antilles: the new era in Cuba and Porto Rico - Howard Benjamin Grose. Books.google.com. 1910. Retrieved 2015-07-23. ^ "The Vision of a White, English-Speaking America". Law.fsu.edu. Archived from the original on 2012-04-11. Retrieved 2015-07-23. 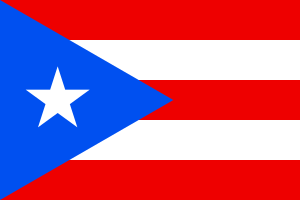 ^ "Puerto Rico votes for U.S. statehood in non-binding referendum". CBS News. November 7, 2012. Retrieved 2012-11-08. ^ Associated Press (2012-11-04). "Puerto Rico vote could change ties to U.S." San Francisco Chronicle. Retrieved 2012-11-08. ^ "An Introduction to Puerto Rico's Status Debate". Let Puerto Rico Decide. Archived from the original on 2012-02-16. Retrieved 2012-03-29.